What is Survey Freedom? Is it a scam or legitimate survey platform that you can make money online? The truth is Survey Freedom is not a survey panel and it provides referral links to other real survey sites and earn commissions when you sign up for survey companies. Read the review and find out more if it is a legitimate platform or just another scam. Any Benefits Signing Up Survey Freedom? Don’t get cheated by the name of Survey Freedom. It is not a survey panel itself like iPanel or Toluna. Survey Freedom is an affiliate website that redirect you to other survey panel sites where they get commissions once you sign up and complete each survey. By answering all the questions on their home page for the very first time, you will be notified that you are qualified for over 3.273 surveys from 3 survey providers. I have tried answering with different options (age, gender and etc), and I came to the same qualification. These are preset numbers you will get no matter what. So seems mostly like a trick to make it look like there is an abundance of available surveys for you. The only three survey providers available from Survey Freedom are Survey Junkie, Inbox Dollars and i-Say Consumer Panel. No matter the answer you give, there will always be three survey panels available. Obviously, the owner of Survey Freedom is an affiliate members of all these survey providers. I don’t think Survey Freedom is a scam per se. But, I wouldn’t waste my time with them since every survey site they have in their database can be found online and you could sign up directly on their dedicated website. The number of surveys available is important when trying to estimate your potential earnings. Most surveys pay less than $2 and that’s not only the problem. For each survey, you will probably spend equal amount of time to get yourself qualify for survey questions. Worst of all, sometimes, you will not even be qualified after going through all the survey questions. As a result, you will spend 1-5 minutes (or more) answering unpaid questionnaires only to discover you don’t qualify. (+) Survey Freedom points you to legitimate survey sites. (-) Survey Freedom basically offers their newsletter and then get access to a short list of survey sites and will then start receiving invitations for further survey sites. They are not survey panel themselves. (-) People will not get access to paid surveys on Survey Freedom but just a small list of survey sites the get paid a commission to refer you to. (-) Surveys from Survey Junkie, Inbox Dollar and i-Say Consumer Panel have limited seats. If you are not responsive enough to accept the survey invites, you will lose your chance to make some commission. You will need to check every now and then to make sure that you do not miss any survey invites. (-) In some countries, members have been complaining that these survey panels have insufficient surveys. It may take more than a week to receive a survey invite. (-) Fake testimonials. Some testimonials and images on the homepage show how much money they have made from being a member of Survey Freedom. In fact, those pictures were captured from other websites. (-) Survey Freedom claims most studies pay between $5 – $15, but they are optimistic. Making money through online survey sites may sound easy and straightforward, the reality is you will have to fill a lot of surveys in order to make $10. Survey Freedom is an advertiser that directs people to legit marketing research companies. It is definitely a legitimate platform but it is not on top of our list. When it comes to its transparency, Survey Freedom is cheating and luring people to sign up for opportunities to earn side income by filling surveys. The fact is that Survey Freedom is not a survey panel itself. I bet some people claim that certain survey panels are scams just because the earning potential is so low. I don’t think this is a good enough reason to brand something a scam. Rather than signing up with Survey Freedom, why not joining a real survey panel? Some examples are MySurvey, Ipsos I-Say, Toluna, SurveySpot or Harris Poll Online? My advice is to always join more than one survey panel. That’s because you will not receive more than three survey invites per week from one single source. Survey Freedom is not a serious money-making opportunity. Some even say it is only great for wasting time. In fact, I don’t like the reliance on survey panels in order to make money. 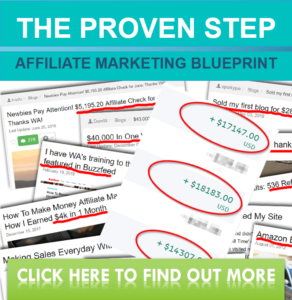 If you are interested in alternative ways to generate a real passive income online, you might want to consider running your own legitimate online business. Bits Mining Review – Is It a Scam or a Legitimate HYIP? Previous story What Is American Online Jobs About? Is American Online Jobs a Scam?